A non-partisan corruption watchdog says Kentucky’s ethics laws are the fourth-strongest in the nation. Kentucky’s ethics laws have guided members of the General Assembly since 1993, and no lawmaker has been convicted of misusing his or her office since then, according to Legislative Ethics Commission Executive Director John Schaaf. The Coalition for Integrity studied every state and the District of Columbia to determine the scope, independence, and power of their ethics agencies. The watchdog also looked at laws relating to the acceptance and disclosure of gifts by elected leaders. Kentucky received a score of 74 on a scale of zero to 100, placing the commonwealth fourth behind Washington State, Rhode Island, and California. 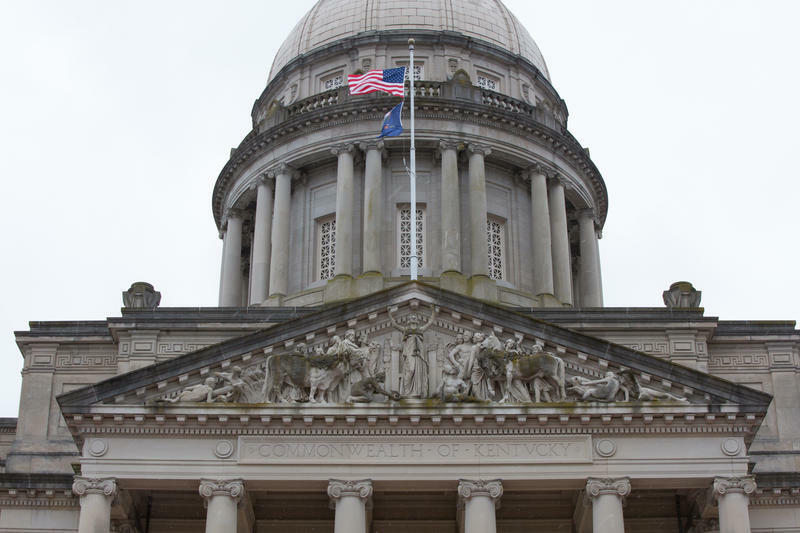 Kentucky’s high score was given, in part, to the state having ethics commissions in both the legislative and executive branches with subpoena and sanction power. The state was also credited for having ethics commissions whose members are shielded from removal without cause. "The findings confirm that Kentucky’s strong and comprehensive ethics laws help the General Assembly avoid the scandals that other states have experienced – scandals which have led to convictions, fines, and imprisonment for hundreds of state legislators across the U.S.," Schaaf said in a statement. Neighboring Tennessee received a score of 50 on the index while Indiana received a 28. But the commission did not dismiss a complaint filed against former House Speaker Jeff Hoover, who also signed the settlement. A hearing in Frankfort Tuesday will determine if four Kentucky lawmakers committed ethics violations when they privately settled sexual harassment allegations last fall. The Legislative Ethics Commission will consider a complaint brought by a Democratic lawmaker against four Republican state representatives. Former House Speaker Jeff Hoover from Jamestown, Jim DeCesare of Rockfield, Michael Meredith of Oakland, and Brian Linder from Dry Ridge gave an undisclosed amount of money to a female legislative staffer to settle allegations of sexual harassment. The head of Kentucky's Legislative Research Commission says no public money was used to settle sexual harassment claims against four state lawmakers. LRC Executive Director David Byerman said no taxpayer money has been used to settle sexual harassment claims in the two years he has been in the position. He said no such money could be spent without the approval of the commission in an open meeting. A federal judge has thrown out much of Kentucky's ethics law regulating contact between legislators and lobbyists. U.S. District Judge William Bertelsman said Kentucky's law banning lawmakers from accepting gifts or "anything of value" from lobbyists was too vague. He also ruled it was OK for lobbyists to donate to politicians' campaigns and to raise money for them. Kentucky's ethics law is widely considered to be one of the toughest in the nation. It was put in place in the 1990s following an FBI investigation that resulted in about a dozen lawmakers convicted of taking bribes to pass legislation that benefited the horse industry. Kentucky’s attorney general is continuing criticism of Gov. Matt Bevin’s purchase of a mansion in suburban Louisville. The Courier-Journal first reported that Bevin and his family moved into an estate in Anchorage that was previously owned by a political donor appointed by the governor to the Kentucky Retirement Systems board. The Bevins seemingly got a more than a $1 million discount on the home compared to the county’s official property estimate. Attorney General Andy Beshear said during a news conference on Tuesday that there “continues to be a lot of smoke” stemming from the issue. Gov. Matt Bevin is criticizing news coverage of his family’s move into a mansion in suburban Louisville earlier this year, saying questions over the home’s purchase are misplaced. After an economic development announcement Friday afternoon, Bevin ranted for 12 minutes about several news outlets’ coverage of the transaction. The Courier-Journal first reported that a home the Bevins moved into in March is owned by an organization called Anchorage Place LLC.